Social media will play a huge role in this year’s Olympic Games. Over the last four years the medium has exploded, giving rise to new coverage opportunities — which the media is taking full advantage of. Since Beijing, Facebook has grown from 100 million to more than 900 million members. Twitter has seen impressive growth as well, increasing active members from 6 million to more than 500 million. YouTube, which saw 10 hours of uploaded content a minute in 2008 now boasts 72 hours per minute — that’s more than 3 billion hours of content per month. The Summer Olympics feature some of the most popular and buzz-worthy sports, including soccer, swimming, and track and field. 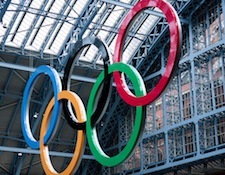 With the understanding that there’s an immediate need for news and information, the 2012 Olympic Games have turned to social media, and here’s how. Twitter and NBC Universal have partnered to live stream all 3,500 hours of the Olympic Games. Twitter employees will spend 20 hours a day aggregating tweets from Olympic athletes, their families, and NBC TV personalities onto a single event page. The company will rely on #Olympics — which will be promoted on-screen as well as off — to keep track of the millions of expected tweets about the Games. NBC plans to send viewers to the event page through on-air promotions and links to athlete interviews and video clips. Additionally, the London Eye — a giant ferris wheel — will light up each night based on the sentiment of Olympic tweets. Although this isn’t a part of Twitter’s campaign, it’s a really creative way to integrate social offline. 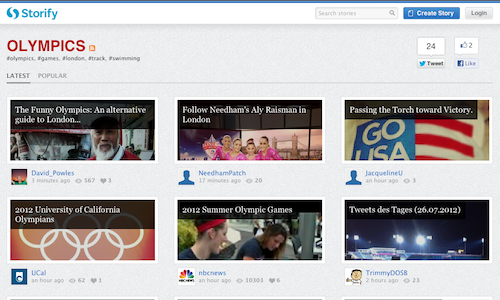 Storify is collaborating with NBC to feature real-time streams of Olympic content on Today.com and 10 TV station websites. Forty journalists will curate feeds using data from Facebook, Twitter, Instagram, YouTube, and other social networks. The company, which allows people to create stories or timelines using content from different social networks, is a great platform for tracking major events. Media organizations have used it to cover social movements and breaking news, as well as reactions and conversations. In June, Facebook introduced Explore London, which provides viewers with historical photos and information about notable events. The dedicated hub also brings viewers inside the Games by aggregating links to Pages owned by athletes, teams, and the sports they’ll be competing in. By Liking any of these Pages, members will receive Olympic content in their News Feeds, including personalized updates and photos from London. The social network is also featuring links to the stations which will be airing the Olympics, as well as the Games’ official partners. More recently, Facebook announced yet another partnership with NBC. Through the Facebook “Talk Meter,” NBC will inform viewers about stories, results, athletes, and events that other fans are talking about on Facebook. 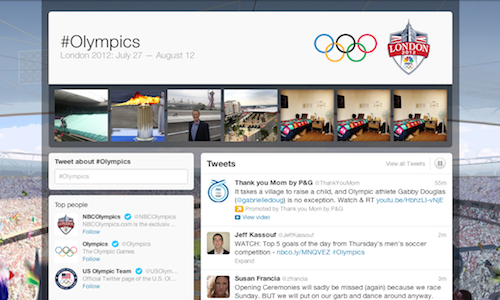 Additionally, the social network will provide Timeline integration for the NBC Olympics website, so visitors can automatically share articles and videos. 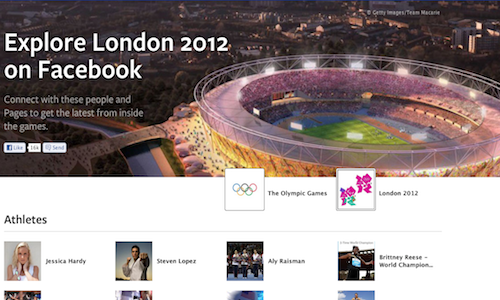 The 2012 London Olympics is poised to be the most social Olympic Games yet. Even the International Olympic Committee (IOC) has launched its own social media hub, including integrations with Instagram, Tumblr, Facebook, Foursquare, and Google+. Although strict guidelines are in place for athletes and attendees, we think social media will offer a powerful perspective for fans around the world.